You are here: Home » Our Stories » Monksmoor Park, home to its very own public art! Monksmoor Park, home to its very own public art! 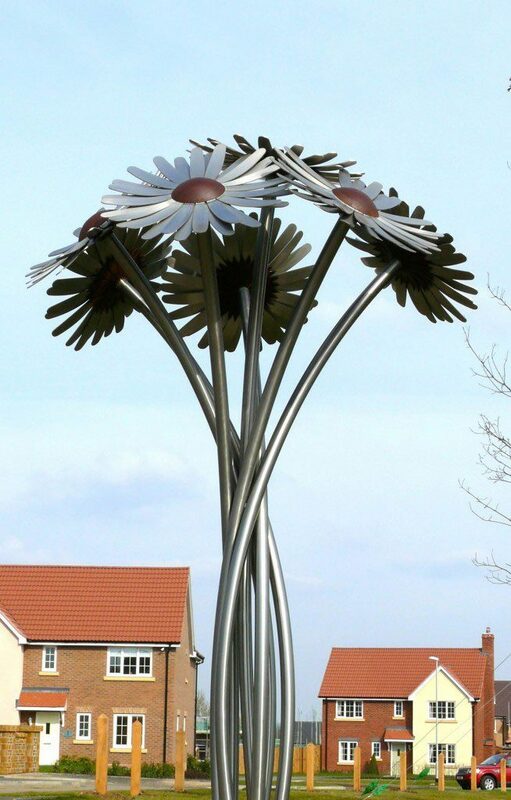 Martin Herons Daisy tribute to Monksmoor Park community. The trees may still be bare, but residents at Monksmoor Park now have a giant bouquet of gerbera daisies to brighten up their lives. This exciting installation has just arrived on ‘the green’ and is the estate’s very first piece of public art. 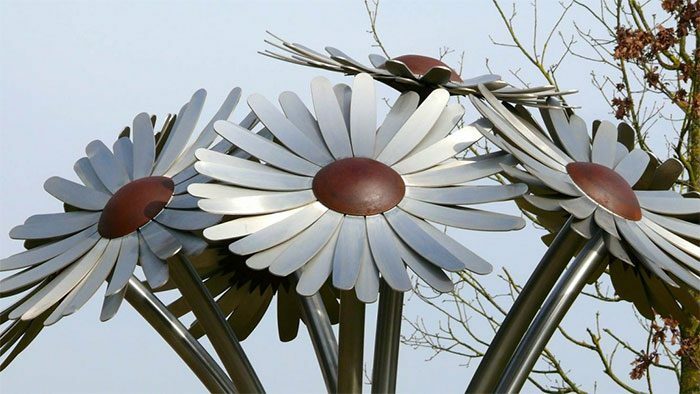 At over 4 metres high the sculpture has been created in stainless steel, specially commissioned by Crest Nicholson for the Monksmoor Park Community Interest Company from artist Martin Heron. others involved with a project.” And we agree, this work of art should be a focal point of pride for the community.